The players have been given some ultimate homework this week—they all need to go for a 20 minute jog and they need to spend at least 20 minutes watching this game of professional-level ultimate frisbee (you’re invited to join them in watching). The first pull is around the five minutes mark, which you can skip to if you want to jump over the standard pre-game production. First, the bad news—there will be no practice this Thursday, April 2nd. I made a mistake and we don’t have a gym spot reserved. I apologize for the mixup. The good news is that we added two practice dates for the week of Spring Break AND we have our field assignment for May. First—the practices over Spring Break are optional as we understand that some families have travel plans. These are for any player who is in town over break and wants to come and play some frisbee. 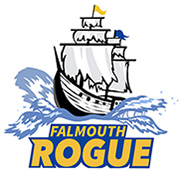 Please note that the practice on the 23rd will be in the Falmouth High School Gym. The second good bit of news is that we have our field assignments for May! We’ll be practicing on Field C behind the High School. We’re penciled in for a 6:30pm start on Tuesdays and Thursdays, though there is a good chance we’ll be able to push that to 6pm. Either way, practices will be two hours long. We should be able to get out onto the grass by the first week in May, depending on the speed of the melt. Again, I am sorry for the mixup regarding this week’s practice. Amazing work out there team! We had a great group of players show up for the first practice tonight and I can already tell that we’re going to have a really fun season. We started learning everyone’s name, talked about the basic rules of the game, the ins and outs of catching and throwing, the magic of “the Force” (ask your players about it), ran a few drills, and even played some games of Completion (score a point for every completed toss to a teammate). Our next practice is on Thursday at 6pm at the FES Gym (same place as tonight). Remember that you can find our up-to-the-minute calendar here where all practices and games details are kept. If you haven’t done so already and your player is ready to commit to the season, please make sure to register here. 1) We’re going to have a super fun season! 2) Everything you will ever need to know will be posted here on this website. If there is something you need to know and don’t see it here, let me know. 3) Practice starts on Sunday. Check the team calendar for other practices and games. 4) We will be adding more games (which we will start playing in May) to the calendar in the coming weeks. 5) We will be playing in the Amherst Middle School Invitational Tournament on Sunday, May 17 but will be driving down to spend the night on Saturday the 16th. Amherst Ultimate is providing a host family for the team, but if you have friends in the area who you can stay with, it’d help make things less crowded with our host. Note: We will only be taking one team to the tournament this year and have room for just 14 players. We’ll announce how we’ll choose those 14 players soon. 6) Please register your players here. 7) Print out and fill out these two forms (both PDFs): Medical Authorization Form & Membership Form and Waiver. Have your players bring both forms to the first practice. As always, don’t hesitate to email or call me if you have any questions not addressed here. Just in case anyone needs a video to show a prospective player what this sport of ours can look like, here are a couple of good ones. The first shows what a high level full length game looks like while the second is a bit flashier and focuses on a lot of diving layout blocks and catches. We’ll be holding a meeting for all parents with students either playing on the ultimate frisbee team or who are interested in playing next Wednesday, March 25, at 7:00pm at the Falmouth Library on 5 Lunt Road. Players are welcome to attend. Welcome to the 2015 season! The calendar is just about ready to tick over to March and I couldn’t be more excited about our upcoming season! Just a few days ago I met with all the other middle school ultimate coaches and plotted out what our season will look like. There was a lot of good energy in the room as we envisioned how to structure our small but growing league. This website will serve as a resource for parents in registering new players and as a source for team announcements and news as the season evolves. New ideas and feedback are always welcome—just email me at SheaGunther@gmail.com. Posted on February 27, 2015 Categories UncategorizedLeave a comment on Welcome to the 2015 season!